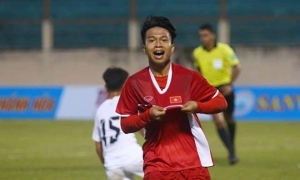 Thể Thao 247 - Vietnam U18s coach thinks that the current successfulness of Vietnam NT is encouraging the youth generations. “After the last gathering and preparation period, I had a relative assessment about the present U18 players. They are equally in skills and expertise. However, we have plenty of time to prepare until August (the time occurring 2018 AFC U-19 Championship). Therefore the upcoming King’s Cup tournament is just a first step, we still need patience." "The opponents in the King’s Cup will be very high-quality. This will be an opportunity for us to get better in expertise, bravery, and strength. The only way to show your tactics or mentality, or even weaknesses is playing on the pitch." "In the training process, you must know how to adapt to improve. It could not be done immediately at first but in future, you have to learn how to accommodate yourself to each environment. In the last two matches, you reveal a lot of shortcomings." Mr. Tuan unveiled that besides preparing about specialist knowledge, he has to influence the players’ fighting spirit. Van Toan faster than Cristiano Ronaldo? 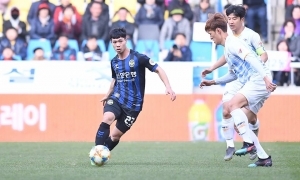 Thể Thao 247 - Setting comeback after 1-month training, Vu Van Thanh is likely gathering with Vietnam NT ahead of King’s Cup 2019 in Thailand. Thể Thao 247 - King’s Cup’ organizer has announced the last team named Curacao. The team from CONCACAF is unfamiliar with Vietnamese fans. 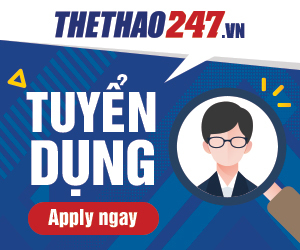 Thể Thao 247 -The last team to attend King's Cup 2019 friendlies in Thailand has been determined.